In the almost two weeks since Hurricane Harvey hit Texas, people from across the country, including Boulder City, have come together to help those affected by the category 4 hurricane. Jennifer Adams Boulder City resident Jennifer Adams is collecting supplies for those displaced by Hurricane Harvey. 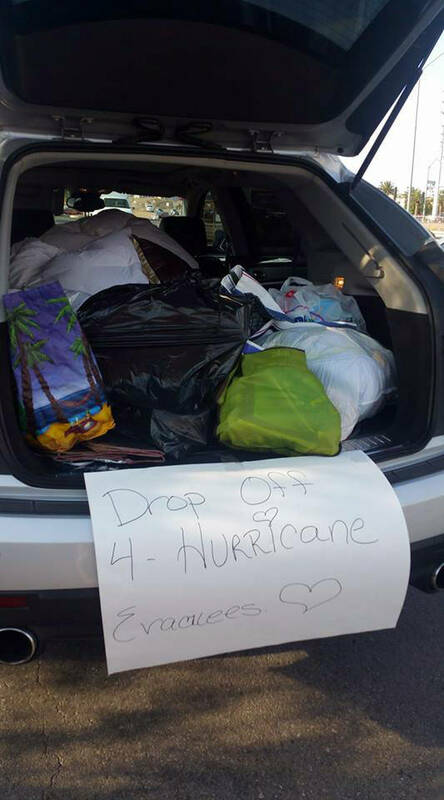 Jennifer Adams A Boulder City resident is collecting supplies for those who have been displaced from their homes because of Hurricane Harvey. The hurricane made landfall Aug. 25 and dropped almost 52 inches of rain in some areas of Texas causing major flooding. There have been more than 60 confirmed deaths from the storm, and almost 600,000 families have applied for grants through FEMA. The damage from the hurricane is estimated to be in the range of $70 billion to $190 billion. One way Boulder City’s Christian Center Church is helping to fix that damage is by raising funds through its denomination, Foursquare. “Our denomination is very active … in all kinds of disaster relief,” said the Rev. Kevin Dolbee. Dolbee said the Foursquare denomination has churches all over the country, including in Texas, as well as volunteers on the ground in the Houston area. “Foursquare will collect funds and then use churches in the area as a base of operations,” he said. One hundred percent of the money raised through the church will go to those relief efforts, he said. Giving is open to anybody, not just church members. Those who want to give through Christian Center Church, can text “4relief” to 77977 to donate or they can send a check to the church, 571 Adams Blvd. “We’re just doing what we’ve been asked,” Dolbee said of the relief efforts. The church will continue to raise money as long as it needed and send people there if asked. Their pastor of compassion ministries, Debbie Downs, has also had disaster training through Foursquare and could be asked to help. In addition to money, there is also a need for supplies for those who have been displaced by the storm. 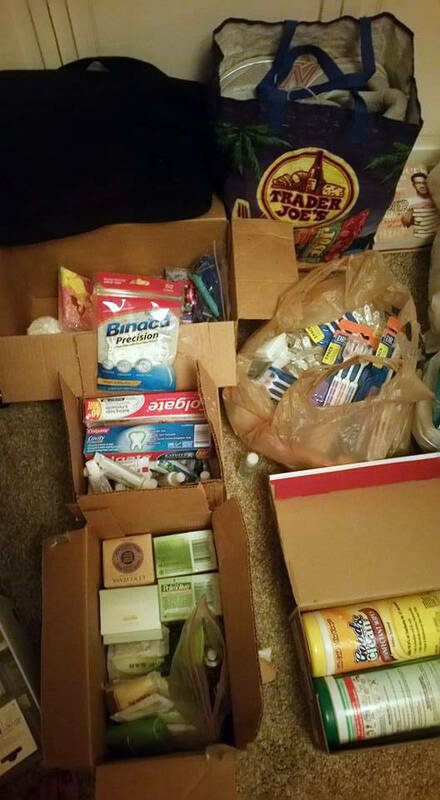 Boulder City resident Jennifer Adams is organizing supply drives for basic necessity items — toiletries, clothes, diapers, wet wipes, nonperishable foods, pet food and collapsible kennels. “I find shelters who are not sponsored by the big — so called, nonprofit charities — and arrange for the donations to get there based on their needs and if I can get the items delivered to them,” she said. Adams helped with relief efforts during Hurricane Katrina and applied what she learned there to how she is helping with Hurricane Harvey. At the time she lived in Panama City Beach, Florida, where the storm was supposed to hit. Adams said that her experience with large charities during that time was that they only wanted money. She said she didn’t see them helping those who came Florida with nothing. Because of that experience, Adams said she will continue to collect items and when she has a “good amount,” she will get them where they are needed. She held a collection at the 99 Cents Only Stores in Boulder City at the beginning of September, and is holding a second one at 2 p.m. Sept. 9. The store is at 800 Buchanan Blvd. She will also hold a collection in Henderson. After those, she hopes to have enough items to take to shelters in Texas. She is working with first responders at the Katy Fire Department in Texas to find out what is needed. Snap Fitness in Boulder City is collecting donations, but is focusing on items for pets. “A member was talking about it, and me being an animal lover wanted to do it,” said Darren Eicone, manager of the gym. So far the gym has received toys, food and treats. They are collecting items through the rest of the week. Those who want to donate can come to the club at 1030 Nevada Highway or call 702-403-1671.